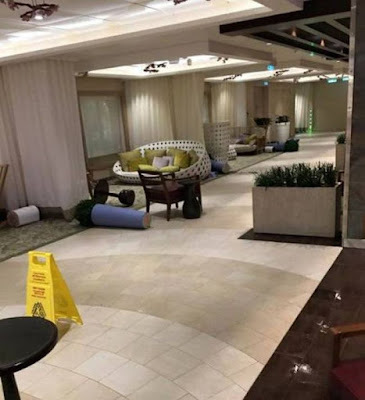 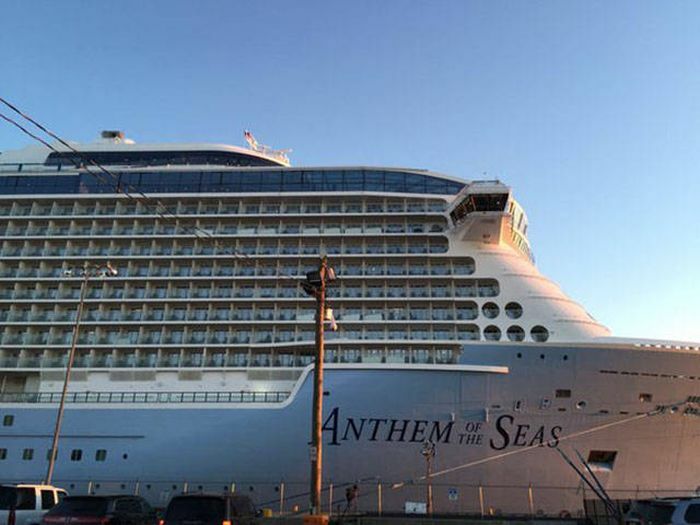 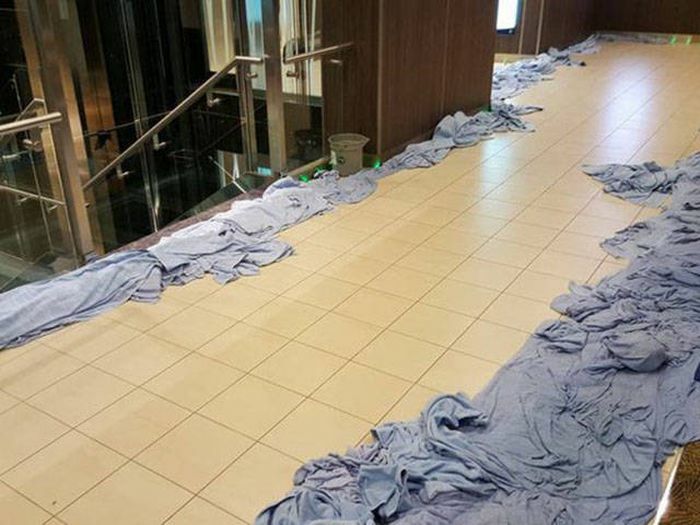 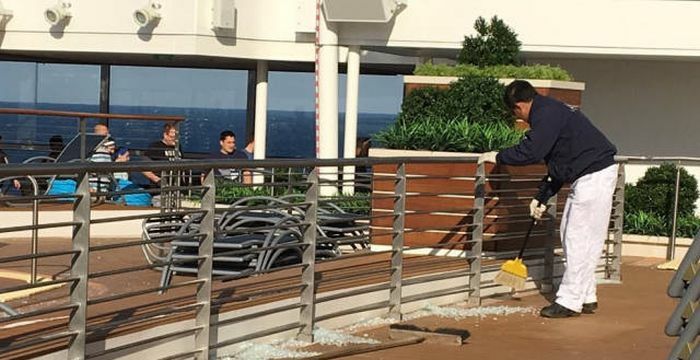 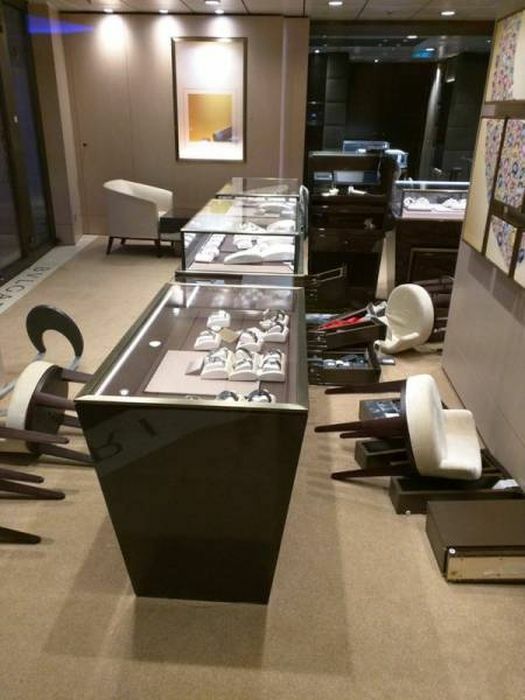 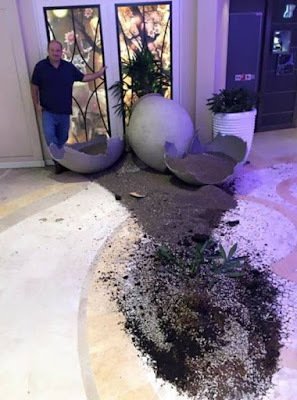 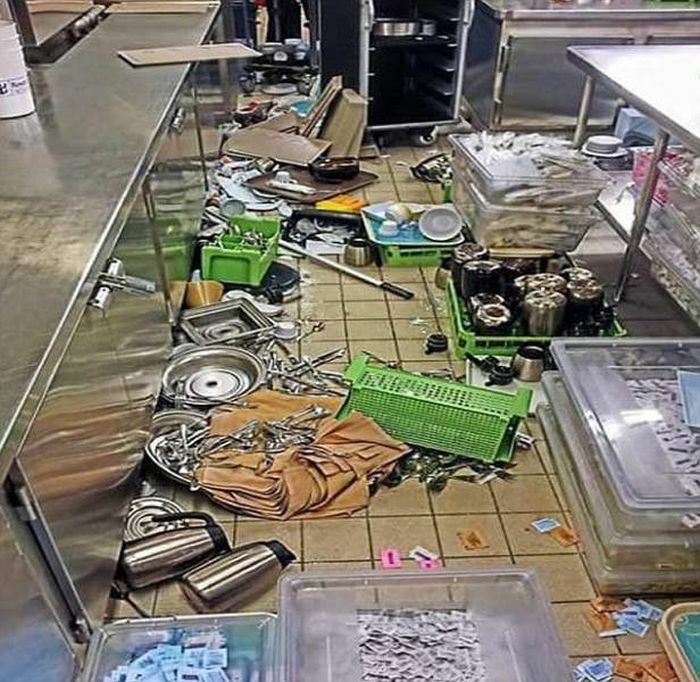 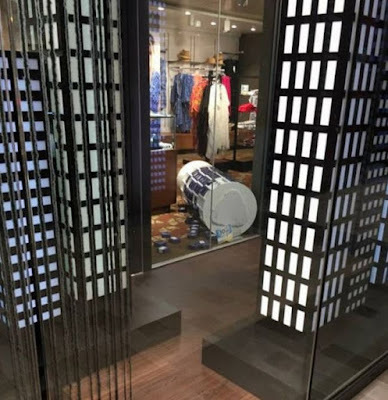 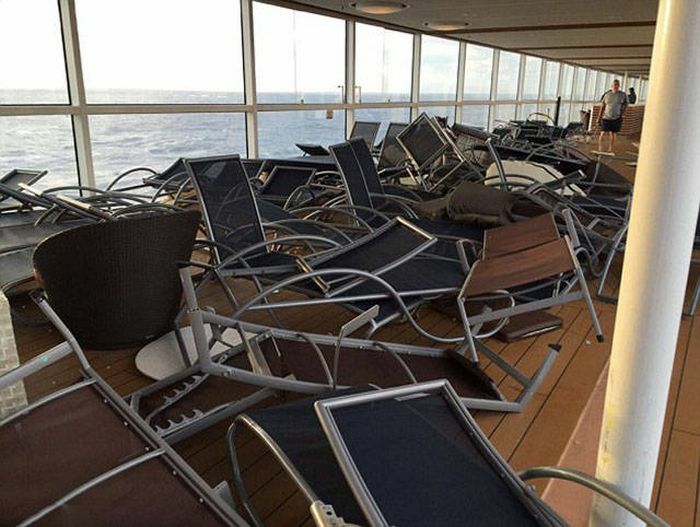 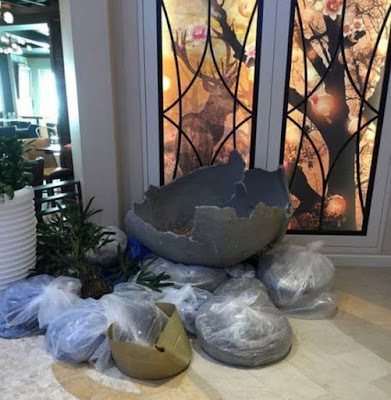 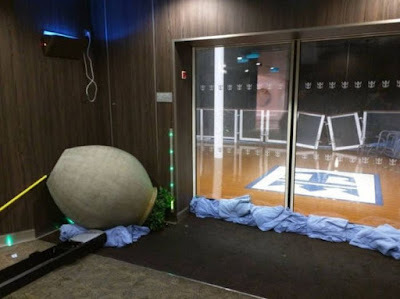 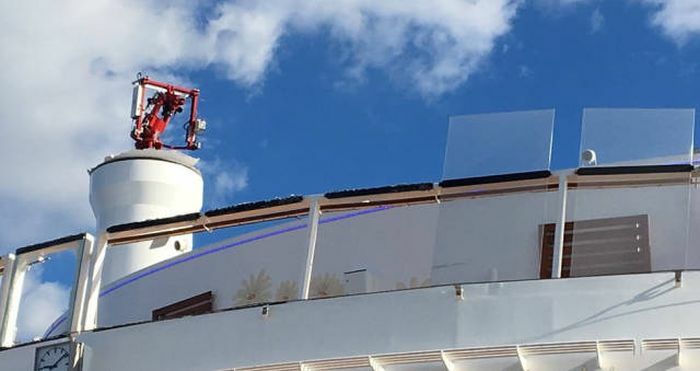 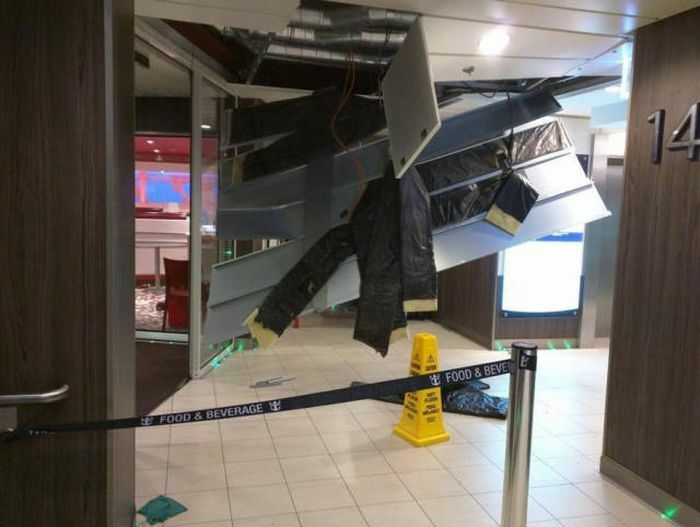 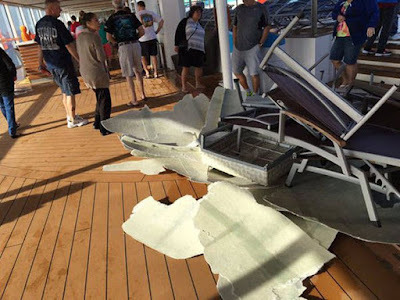 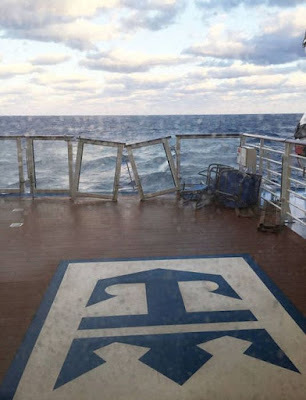 A Royal Caribbean cruise ship called The Anthem of the Seas was heading to the Bahamas from New Jersey recently when it got caught in a storm. 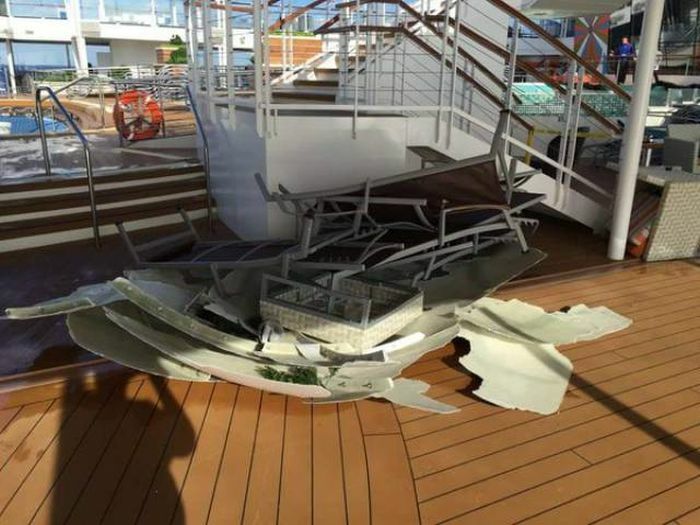 The winds reached speeds of 150 miles per hour and the ship hit angles of 45 degrees throughout the night. 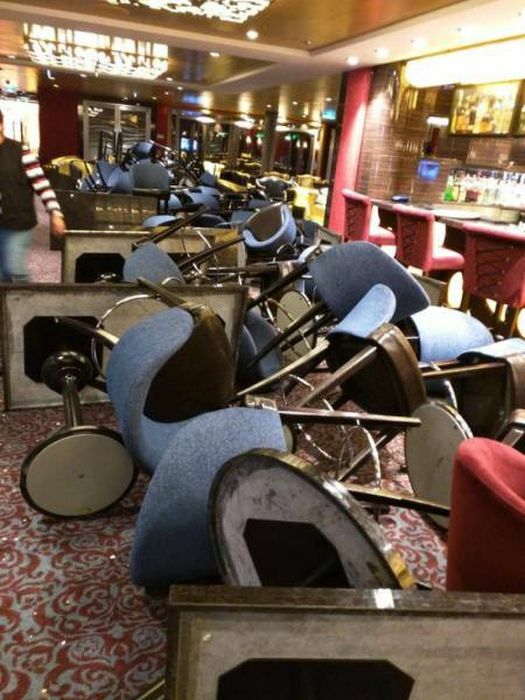 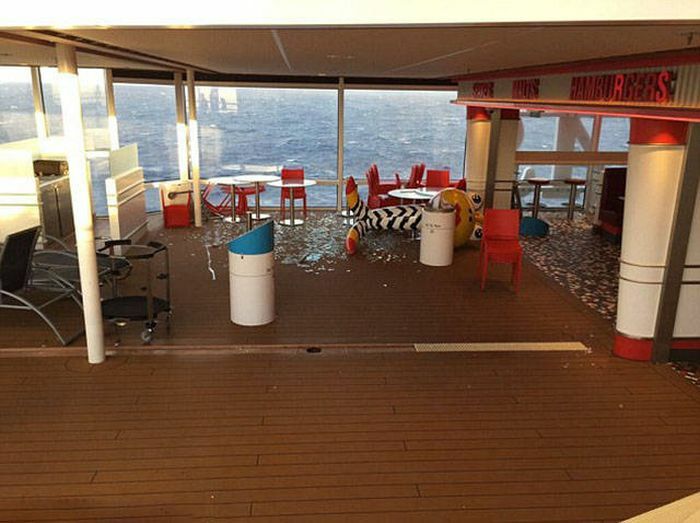 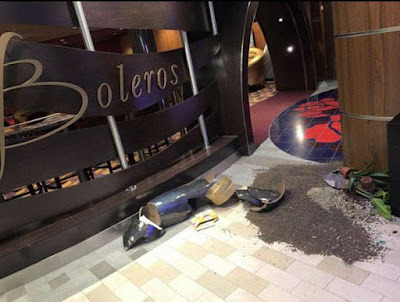 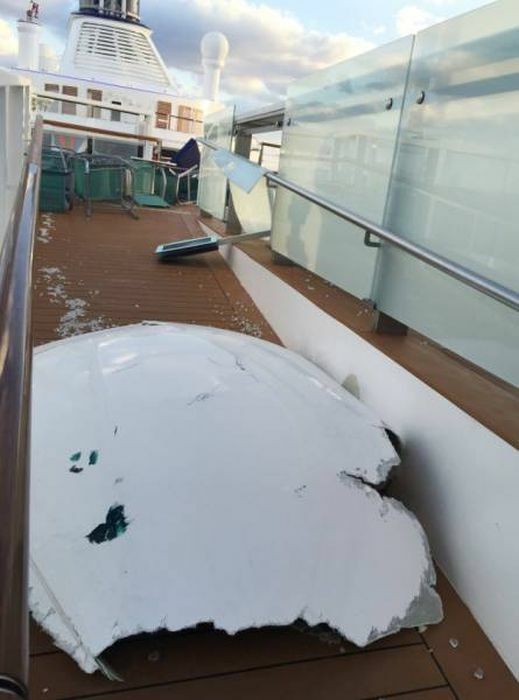 The passengers on board suffered minor injuries but the entire inside of the ship is trashed.